Remember when the media lied and created Fake news? Remember when polls told us Trump could never win? Remember stories lie this? Relax, Donald Trump Can’t Win. Even before you get to his campaign’s incompetence and lackluster fundraising, the numbers just aren’t on his side. 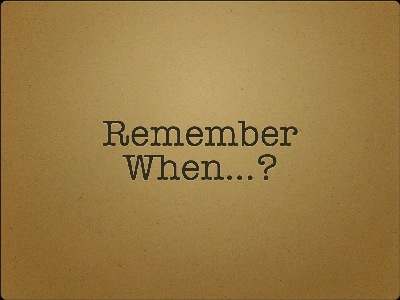 Details on REMEMBER WHEN, reminiscing through media lies. Remember when Obama stopped Syrian Chemical weapon attacks, the media claimed on July 2015. REMEMBER WHEN the Fake News magazine, TIME, falsely reported that President Trump removed a bust of Martin Luther King, Jr. from the Oval Office. Why did TIME lie? Remember when the media and democrats actually thought Hillary could be president? REMEMBER WHEN THE FAKE NEWSERS AT THE Washington Post FALSELY reported the President’s massive sold-out rally in Pensacola, Florida was empty. A dishonest reporter showed a picture of empty arena HOURS before the crowd started pouring in. After the news was published the reporter apologized for being a liar. REMEMBER WHEN The New York Times’ Paul Krugman claimed on the day of President Trump’s historic, landslide victory that the economy would never recover. Remember when the media said John Kelley would leave White house in February 2018?